I love vodka sauce and my friend Hila loves it too. Hila is a vegetarian. Maybe that is why she love this recipe so much. I promised her I would make some and can it so she can use it later. Unfortunately my garden did not yield as many tomatoes as I had hoped. I may have to use canned (gasp) tomatoes when I make this. 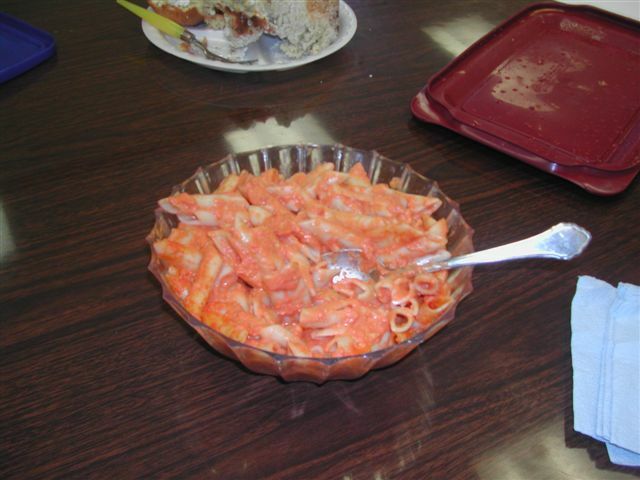 It is a wonderful Lenten recipe. I should also give credit where credit is due. I got this recipe from The Barefoot Contessa. I know that the cook time is long. I usually keep mine in for about 2 hours. You can make it on one of those days that you are at home and cleaning or puttering around. Most of the cook time it is just hanging out in the oven. See, isn’t that a great idea? I call that multitasking. I suggest you double the recipe and either freeze or can it. If you are going to freeze or can it, omit the cream. Add the cream when you reheat the sauce. Meanwhile, pour the tomatoes into the pan and crush them with your hands. Add 2 teaspoons salt and a pinch of black pepper. Cover the pan with a tight fitting lid and place it in the oven for 1 1/2-2 hours. Remove the pan from the oven and let cool for 15 minutes. 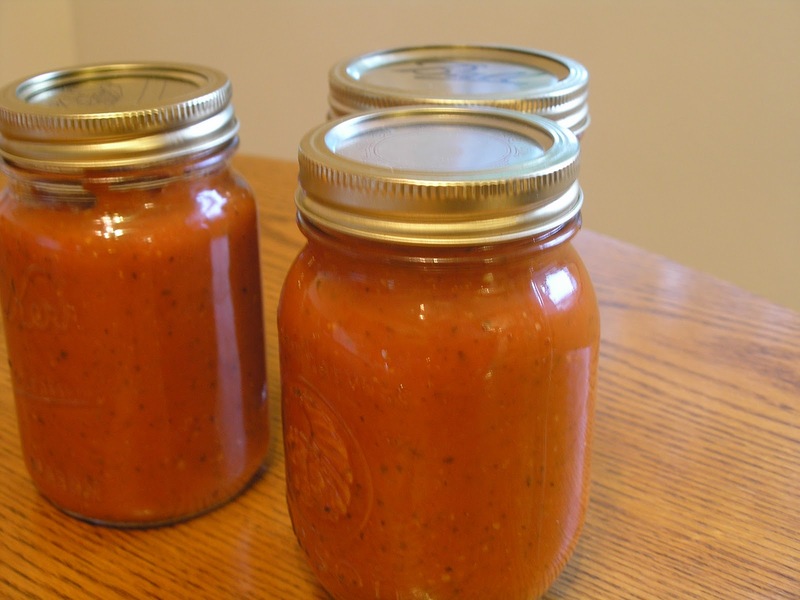 Place the tomato mixture in a blender and puree in batches until the sauce is a smooth consistency. Return to the pan. At this point you can can it. Pour the hot mixture into sterilized jars and lids. Process in a water bath for 15 minutes. You can use a food processor instead of the blender. 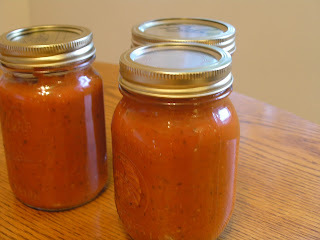 Reheat the sauce, add 2 tablespoons fresh oregano and enough heavy cream to make the sauce a creamy consistency. Add salt and pepper, to taste, and simmer for 10 minutes. Toss the pasta into the sauce and cook for 2 minutes more. Stir in 1/2 cup Parmesan. Serve with an additional sprinkle of Parmesan and a sprinkle of fresh oregano on each plate.